Say Hello to Tigus in #FFWithBookBloggers session! I was into comic books around then, chiefly Spider-Man at first; Amazing Spider-Man #s 147, 149-50 (the culmination of the Jackal storyline) was a great lure...and since it functioned as a pretty cool Murder Mystery, that fit in well with my first Hardy Boys book, a good one, The Disappearing Floor. 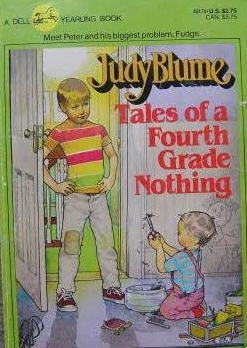 As I was growing out of that series for young readers, I jumped to one of two Agatha Christie books lying around the house--And Then There Were None --and that really hooked me on Mystery novels. Science Fiction movies and TV shows were a big deal in the late 1970s, and my earliest SF reading commitments were Jack Williamson, and the Perry Rhodan English translations. 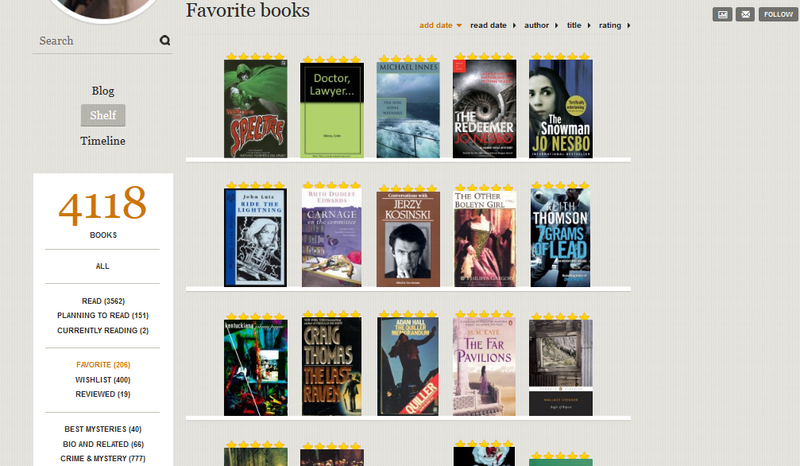 Your BookLikes Shelf is packed with different genres: mysteries, biographies, sci-fi and fantasy, graphic novels, horrors. What makes you pick the book in a given genre? I have these lists of recommended reading, mainly "100 Best" Lists, in book form, many of them out of date now, which became a bit of a publishing trend, let's say from about 1985-1990. Of course, the internet provides this sort of thing now--and my old lists have become a way to select books that have aged somewhat as the years go by and I acquire the titles. Recently, there was this British mag, Crime Scene Magazine, that has kind of got me sweeping up just about everything they positively review; sadly, I think the mag is cancelled as of issue 7, so it the issues will serve as a finite list that I can actually finish up with someday! All of this List reliance, though, probably takes a back seat to simply going to a big bookstore and browsing around for an hour or so; if I've been buying too many "List" choices, I make the trip about picking books out of the blue, based mainly on a back-cover synopsis, and certainly if I already know and love the writer's work. Well I don't actually write that many reviews, or do lengthy blogs, do I? 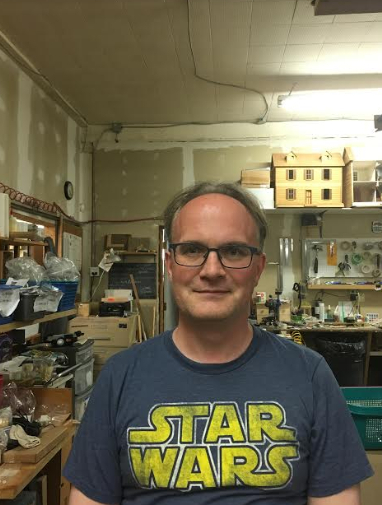 I give updates each day, with some kind of quick reaction to what I just read, which at least keeps me around as an active, reliably present member. I like making my own Lists at BookLikes; that's fun! Anyway, as for how all that started, it was after really committing to the internet around 1998 (I was kind of a holdout), and then discovering some forums and chatrooms and meeting people. Now it's kind of second nature, and my chief aim, as I get older, is to pick a few BookLikes friends who make their own updates that keep me interested in what they're reading...and not fight with anyone or insult anyone's taste. Your profile picture on BookLikes blog - why Walter Matthau? Is there any other reasonable choice? Actually, that particular image is sort of a classic one, even amongst his various mugshots, because it ends the film The Taking Of Pelham One-Two-Three (original version), and he's overdoing the hangdog look as he gives a gaze of shame to a villain who has just slipped up and given himself away. This was one of the first fairly violent movies I remember watching to the end on late-night TV as a kid...although I discovered later that it had been drastically edited, and was much more violent and cussword-ridden than I could have guessed. Displaced from the film, that Matthau face does reflect my inherent cynicism, though I try to keep even a cynical sense of humor, so I don't have to go the whole nine yards and just put up an Eeyore picture. I would say not much, in any concrete sense. Getting feedback from friends will alert me to a book that looks interesting, now and then. My little bitty blogs don't affect much of anything, but give me a bit of pleasure. I would say that when I really love a book, it becomes a mission to spread the word a bit, and it's neat to see it up on someone's Planning To Read postings shortly after that (That was ME! I did that! They may not ever read it, but...I did that!). When you write a book review - do you have a scheduled plan what to include or is it a spontaneous reaction to what you’ve just read? If I'm writing a review, I've probably been inspired to not be lazy and get it done because three or four points about the book have crystallized in my mind. If I've walked home from the coffee shop, or for any other reason not had access to a computer right after finishing a fabulous book (I do not own a cellphone), that's actually a good thing, because I'll fill time analyzing the book in my head, sorting ideas and thoughts, and getting to a point where this light goes on and won't go off: "I think we've got a review here...so write it before you forget everything!" Still, I confess I don't write many reviews. I do love commenting on books as I go through them, though! 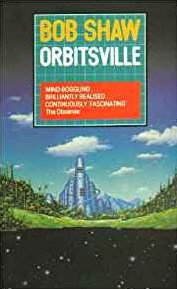 I love the cover on my old copy of Orbitsville, a novel by Bob Shaw; the cover art is by Tim White. I love the "stars as the ground' reversal, and just the way the trees and buildings are rendered--softly--with no sharp edges and an air of peace and gentleness, which is what Orbitsville is all about when you read the book. I would give anything to live in Orbitsville, and Tim White's version is especially appealing. 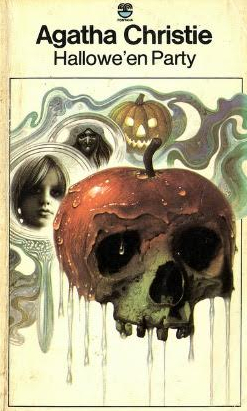 Meanwhile, the Agatha Christie novel I rudely passed on when I was a kid at home--in favor of And Then There Were None (which oddly did not have the better cover) was a Fontana (I think) paperback edition with this nifty skull/candy-apple image as the main attraction; I love the stark effectiveness of it: evil melds with childhood innocence; terror merging with fondly-remembered fun and games. I especially like how the image actually seems to be really wet, gooey, ooze dripping down--the eyes having almost a tactile response, maybe even a smell unwittingly imagined. I remember now...I think I wanted to save what looked like the better Christie choice for later; that was the thinking. Lastly, I'll mention a Baen paperback edition of a Retief collection by Keith Laumer... Retief of the CDT. So arrogant and cocky is Retief--but then he does look like he's earned a bit of a swelled head, given the state of the giant beastie lying behind him. I'm not sure how to answer this. If the point is not for me to just list my all-time favorites, then I would say as an alternative to that kind of excitement, it's most fun when someone reads something I loved not long after I read it, so that if conversation breaks out--even healthy disagreement on just how good the book is (or not)--I never have go to "Well, I read it a long time ago...". Well you're not gonna get photos, because I avoid cellphones, and what you would see is your standard coffee shop, with perhaps a focus on a favored table near the window and far from talkers and people who make strange noises. Go to a Starbucks and figure out which table the bookworm would sit at, and take a picture of it, because that's where I'd be. It would be a boring, underwhelming picture, but it's heaven for me with a book and a beverage. Just paper books, so far. Maybe e-books sometime up in the future. Why Men Are The Way They Are, by Warren Farrell. PG. Wodehouse, no contest. I did get to meet Robert Silverberg, briefly, at TorCon 3 in 2003, and he signed my copy of Up the Line. That was cool! That's just not going to happen, but can we compromise with a photo taken of me today at work, with a cellphone (not mine)?